Can we all agree that pouring wine down the drain should be a sin? In this day and age, wine is too good and we are too smart to be letting that happen. Throughout the years there have been many approaches to dealing with wine’s love-hate relationship with oxygen. You see at first, it’s a healthy relationship, with oxygen allowing wine to open up and share its inner soul. After a while though, oxygen becomes overbearing, slowly degrading wine into an unrecognizable state. From the old spoon in a bottle of sparkling trick, to thousand-dollar machines, one thing is clear: Where there’s a will, there’s a way. Today we’ll take a look at the popular vacuum pump method and compare it with one of the wine world’s newest innovations, zzysh®. Vacuum pump wine preservers have become quite popular due to price and ease of use. Put it on, pump a bit and voila! Though there are several devices and styles, all pumps have the same objective of getting the oxygen out. However, there will always be a little oxygen left behind. 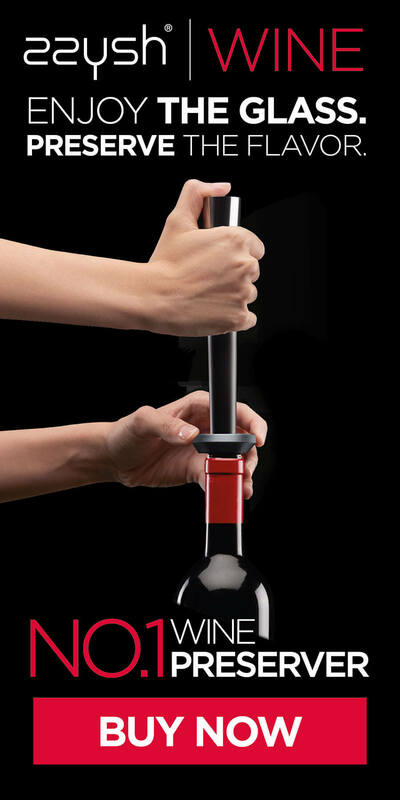 Many wine buffs such as Wine Spectator’s Matt Kramer have tested these pumps only to conclude that sticking the cork back in the bottle works just as well, if not better. Kramer referred to an experiment done at Portland State University’s chemistry department that found up to 30% of oxygen remaining after pumping. He also noted that leakage was a big problem, finding the seal to completely diminish within 24 hours. So even though oxidation might be slowed down, it’s still lurking like a creeper in the night. And then there is the theory of a pump sucking out more than oxygen, but also the life of your wine, which is even scarier than that creepy oxidation! Many say that each pump leaves wine a bit duller, sucking out the color, bouquet and aromas that made it so great. All of which leaves us wondering, why bother? We bother because sometimes we want a wine to last longer than just one sitting. Or we want to open various bottles for a special meal. Or we’re on our second and can’t/shouldn’t finish it…the list goes on, which is precisely why zzysh® came to life. 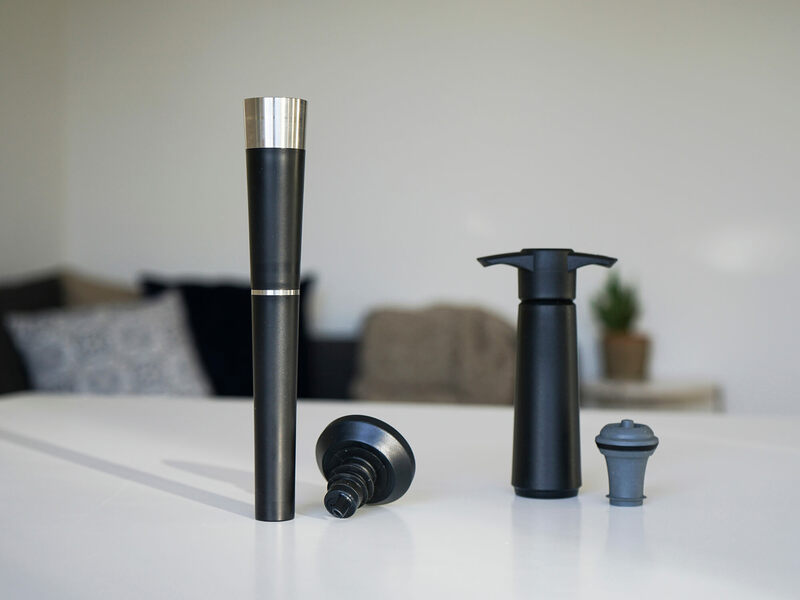 Created to experience life’s unique moments again and again, this handy little device focuses less on removing oxygen and more on replacing it, or pressurizing it in sparkling wine’s case. Enter wine’s lifesavers: argon and carbon dioxide. In still wines, argon gas acts as a protective blanket, a neutral chemical that doesn’t affect the wine but gives oxygen the boot. In sparkling wines, we add a little CO2 to the argon to pressurize the bottle and preserve those bubbles! zzysh® takes advantage of these noble defenders and will preserve your bottles for weeks…though we doubt it will actually come to that. Like the vacuum pump, zzysh® is easy to use. You take the zzysh® stopper that ensures a perfect seal, zzysh® it by pressing down to insert gas for 3-4 seconds and ta da! Wine that will taste like it’s just been opened long after it was actually opened. There are many systems that use argon to protect wine, but they’re generally expensive and far from convenient. Like a vacuum pump, zzysh® can go anywhere you and your bottle go. The only difference is that when you get back from wherever you were going, zzysh® will make sure lugging that bottle around was worth it. As zzysh® is quite new, vacuum pumps have been tested much more by the pros. But, of the sommeliers and wine lovers that have tried zzysh®, most agree that it revolutionizes the game. And the cost makes it so anyone looking to preserve a decent bottle for more than a few days can now do so without a problem. But of course we’re a bit partial, so try it out for yourself and let zzysh® work its magic.